By forgetting form,we discover meaning. By discovering meaning,we can return to the essence. Just as martial art was born from our desire to end war, dance was born from our love of music.By mastering both offense and defense, martial artists seek a connection between the self and the outside world.By creating balance between motion and stillness, dancers use their bodies to explore our spiritual questions and uncertainties.The Chinese characters for ‘dance’ and ‘martial art’ share the same pronunciation. Though the two artforms diverge in expression, they come together in spirit: Both follow a set of rules to unite our physical and spiritual existences. As the name The Martial Dance implies, dance is used to create a seamlessly integrated piece. 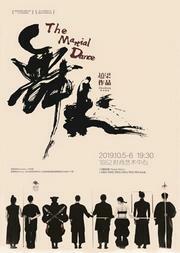 Chinese martial art is shown to the world through the medium of pioneering modern dance, with the aim of passing on, developing, innovating,and confidently promoting a unique Eastern cultural identity. Martial art and dance differ in form, but they pursue the same ideals. Two different philosophies guide us to a basic physical experience–dance as a way of performing martial art, and martial art as a metaphor for dance. By leaving our notions of form behind, we can break down the barrier between them and arrive at their true meaning. 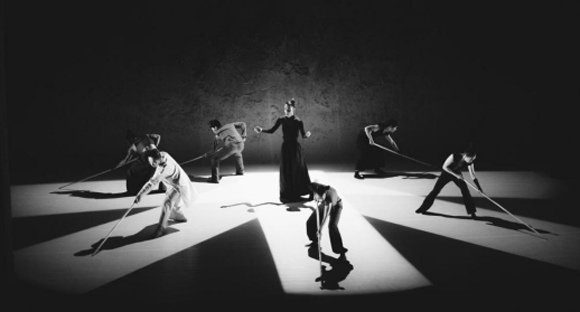 The body architecture of modern dance and an awakening of the soul remove martial art from the constraints of competitive sport and return it to its essence. Thus, the beauty shared by dance and martial art is displayed in full.